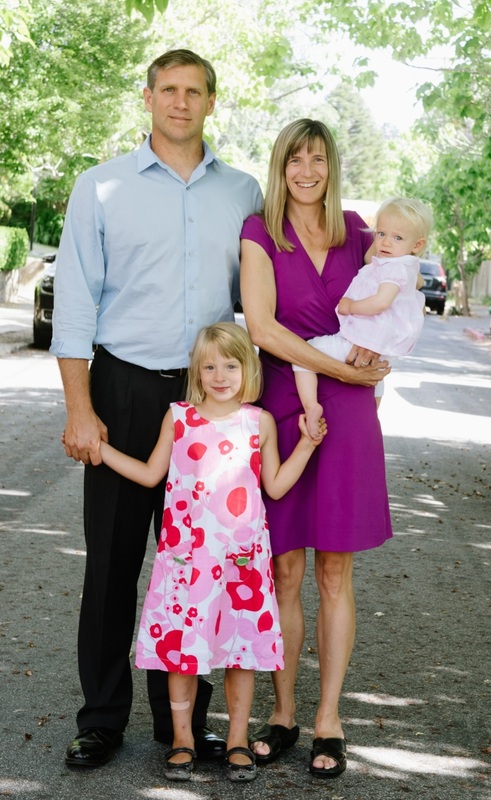 Zoltan Istvan and family by Andi Hatch. While Ted Cruz, Hillary Clinton or Ted Turner sleep thinking about immigration issues, internal politics or relations with China and the Middle East, there is another candidate in competition, which goes beyond the present, the philosopher, futurist and journalist, Zoltan Istvan representative of Transhumanist party, who believe in human immortality based on the technological advances that are already happening in humanity. The story of this different candidate has also sparked interest in other prestigious international media as it was a few months ago the BBC and the Financial Times of London those who see in Istvan a representation that symbolizes new times of digitization and robotics. Scientifically speaking, the matter of immortality is growing fast, in fact in California it is the Methuselah Foundation which dedicates full time to find a solution to death problem treating it as a disease and they have actually progressed in experiments with mice who have increased their life expectancy and the giant technology company Google has invested in the company looking to find a cure for diseases associated with aging. Thoughts on the future of work, threats of robotics and artificial intelligence, poverty, climate and economic systems of the future were part of this interview with Zoltan Istvan who looks throughout immortality reaching to lead the White House in Washington. Do you think that artificial intelligence could endanger humanity? Yes, absolutely. However, that doesn't mean we should stop investing in AI or change how we feel about it. We just need to remember that AI is totally foreign territory, so we must be very careful, similar to how we treated the development on the atomic bomb. But I do think eventually AI will largely benefit humanity. Do you invest more resources in technology to monitor criminal networks? Yes, I'd love to invest more resources--many more. The key to stopping criminals is not to try to change who they are--which we've been doing unsuccessfuly for centuries now. But rather to stop them with technology before they ever commit crimes. If drones, robot polic, and implant devices could be more successfully used, I think we'd see a sharp drop in crime around the world. What do you think about green technologies ? I think green technologies are exactly the way to deal with the environmental problems the planet has. And I do believe the planet has problems, like global warming and overpopulation. All its problems can be fixed, but we must use green technologies. For example, we can learn to fill the ozone layer to reduce our carbon footprint. We could also cure cancer so we don't have to worry about the ozone layer as much. And we can use things like meatless meat to stop cutting down rainforests so cattle can graze. These are just a few green tech ideas that can change the planet for the good. Do you think computers will replace the judges and prosecutors in the courts? Yes, computers will eventually replace everything. However, it'll be a while before a computer replaces a human judge. This is becasue our feelings come into play when sentencing criminals, so computers may not have very good or humanitarian feelings for a long time. However, eventually, yes, they will replace judges and all jobs, including the President of the United States. How technology can help reduce poverty? Technology has been reducing povery ever since it came into existence. World Bank reports show the world is getting better. People have more wealth, more jobs, longer lifepsans and better health. This is all a result of better science and technology. In the future, robots will take all the jobs, so this will create a need for a Universal Basic Income, which I support. This will help reduce povery too. Do you think that in 100 years we could be governed by robot? We will be governed by a robot in a 100 years. The real question is what comes after robots? Organized energy that has an intelligence? I'm not sure, but certainly a robot will be able to lead the world better than a human being. Humans are selfish, but a robot might have our very best interests at heart. It will aim to do the greatest good for the largest amount of people. Which professions will be most threatened by technology in the coming years? All professions will be threatened, and the majority will be come extinct. There is just no way a human can compare to a robot that has better intelligence and better ability to perform. Professions that last the longest will probably be entirely in creative arts or engineering technology. As you imagine the family in the future? There will be pet robot? children robot? Pet robots are aleady here, and they will grow to become commonplace. But I don't think we'll ever have robot children. There's just no need for that. We have children for a very basic biological need right now since we're animals. But we will eventually evolve into machines. And once we replace part of our brains with machine parts, then our identity will change. We'll no longer be mammals and need children. We may still want companions, but probably not spouses. The family institution will exist only as need and pure functionality. Eventually, virtual reality will allow us artificial companions, and I think many people may have little or no contact with anyone real every again. We will become gods to ourselves. What economic system would be ideal for the technological progress of humanity? In 50 years, only one ecomonic system will be left, and that is a type of luxury communism where robots do all the work, and the state (probably a world government) will provide everything. Capitalism won't survive, because within 50 years, we'll reach the Singularity, and working and wealth won't matter in the face of the acceleratiing technological change--change that is changes every 5 minutes more than it did in all of history before it. "Real Future: Meet Zoltan Istvan, the Transhumanist Running For President"